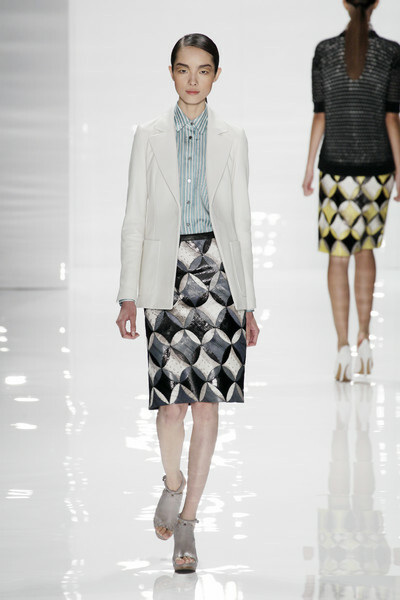 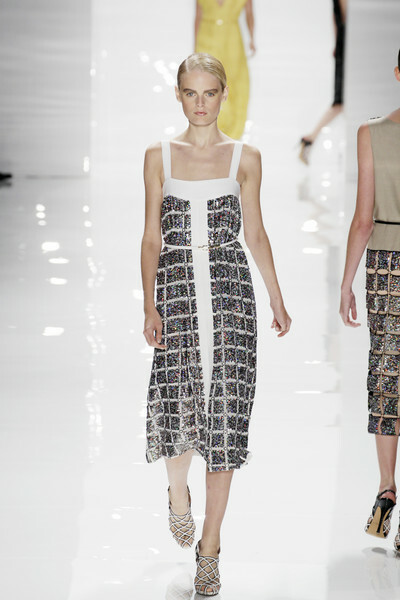 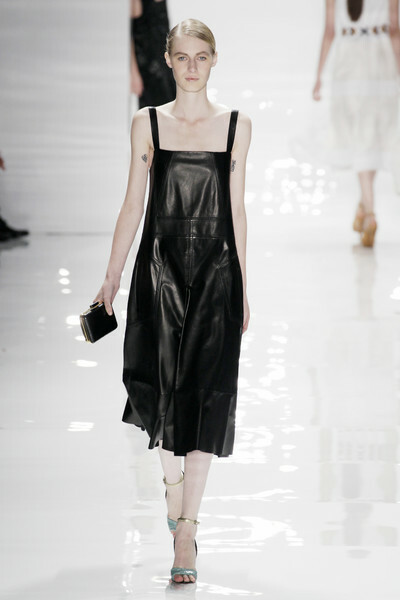 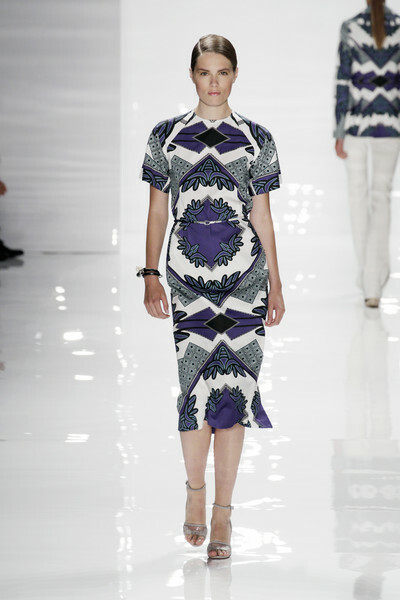 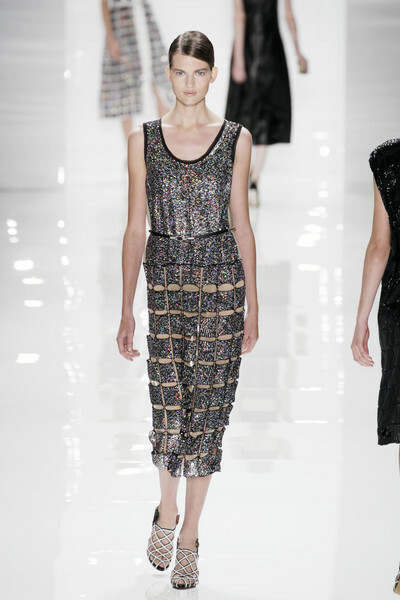 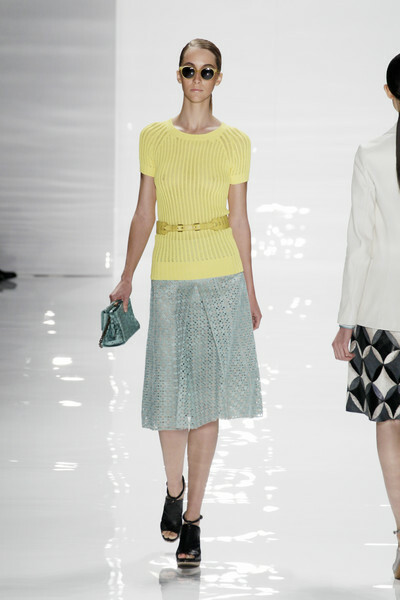 Derek Lam’s spring 2012 fashion show looked modern, streamlined and fresh. 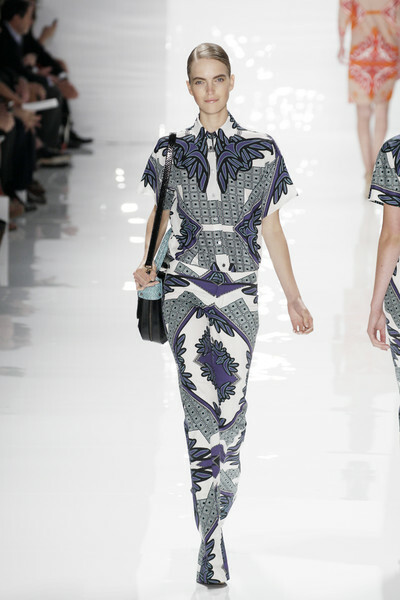 With a focus at print and cut. 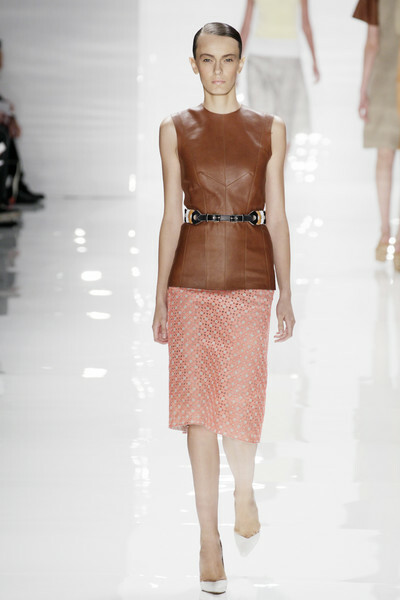 You could trace his Californian backround to the clean, architectural lines of the skirts, the sunny desert colors and a modern riff on the retro men’s wear look of a color-blocked shirt and cuffed straight-leg jeans. 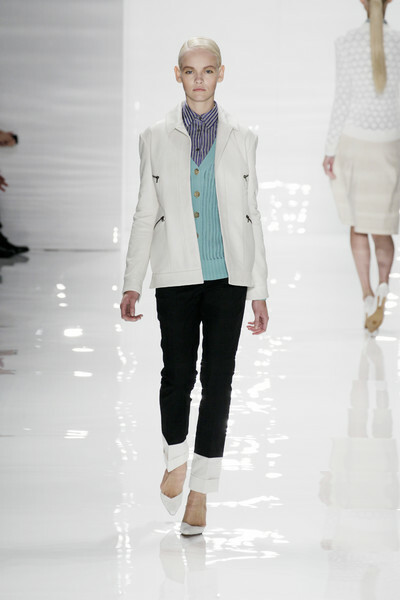 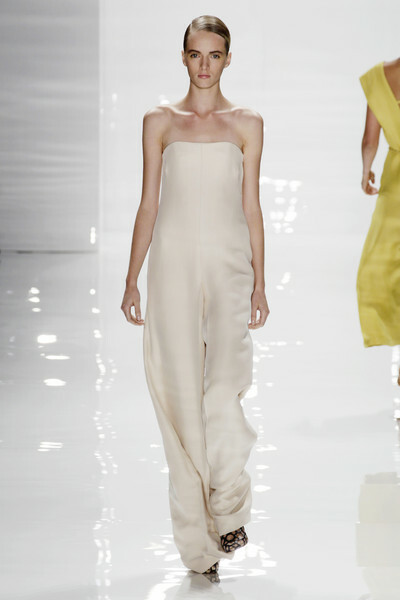 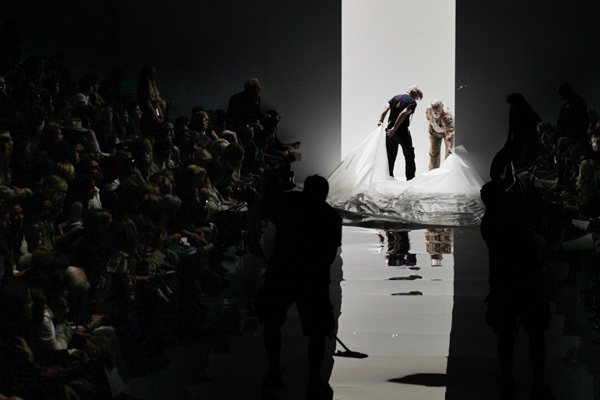 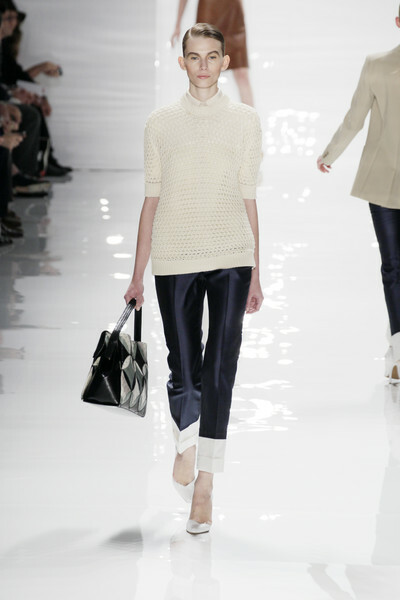 But the show was more about snappy sportswear with crisp, minimalist polish and a distinctly American look. 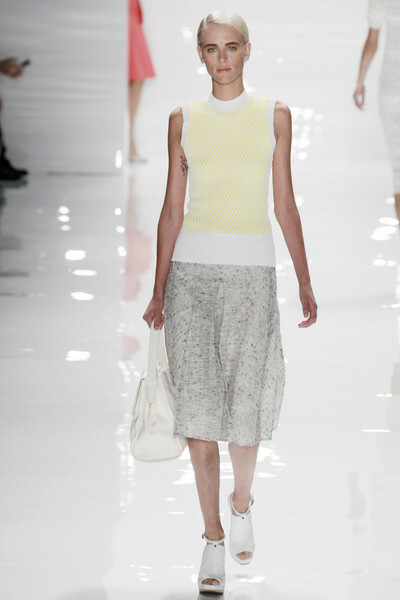 Tunics and sweaters were belted over A-line skirts; there were utility and tank dresses.